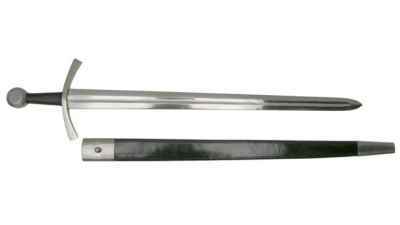 This magnificent sword named The Accolade would have been a sword worthy of the Grand Master to knight a loyal member into this holy order. "Non Nobis, Domine, Non Nobis, Sed Nomini Tuo Da Glorium". 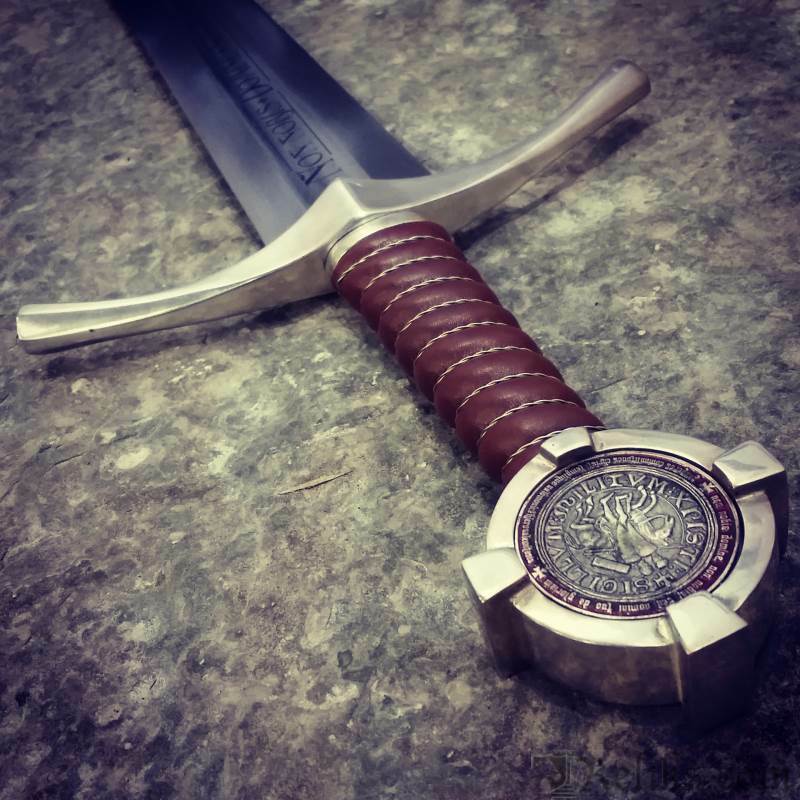 These iconic words engraved on the blade define this historic hand forged sword replica. 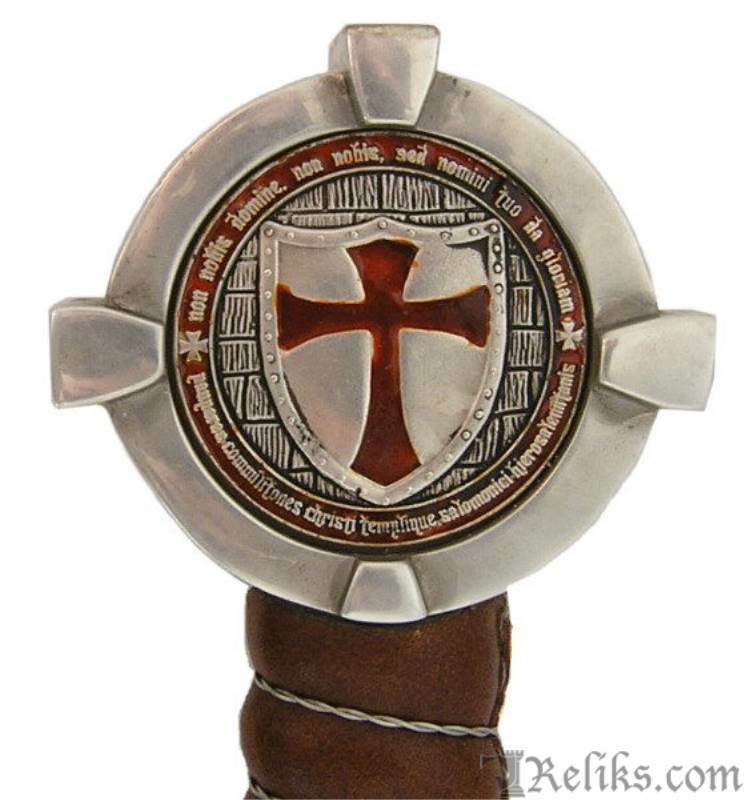 The creed of the Knights Templar translating to "Nothing for us, Lord, nothing for us but for the glory of thy name" marked their illustrious and sometimes infamous 200 year military influence. 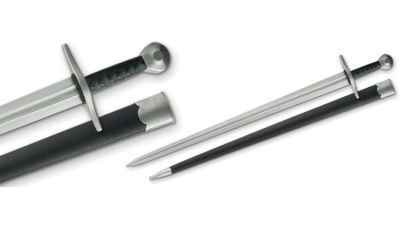 The best metalsmiths from Windlass Steelcrafts have spent hours on each blade, hand forging the high carbon steel for optimal balance, quickness and durability. 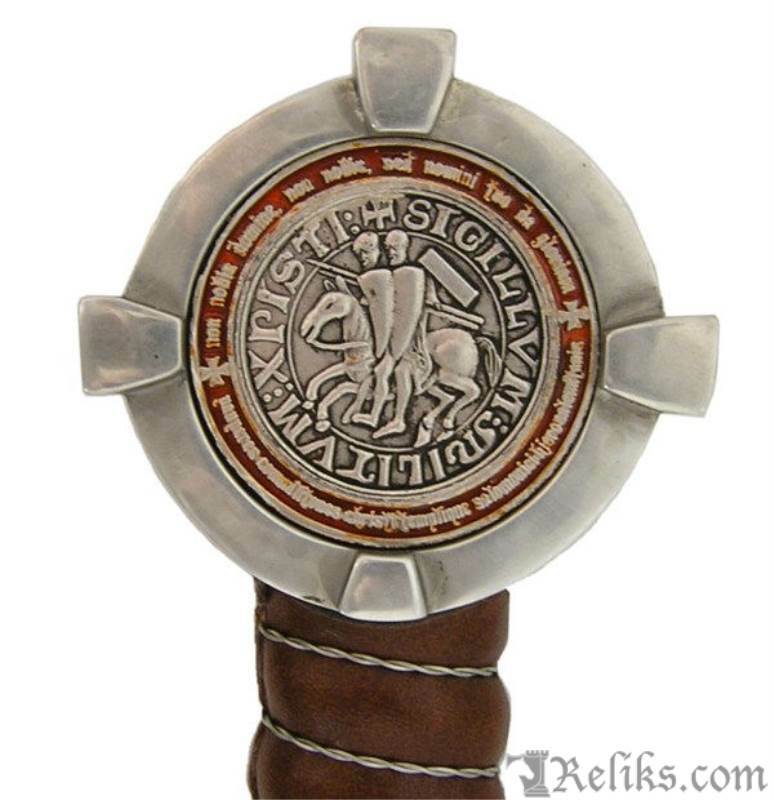 The pommel features a highly detailed Templar coin on each side with Latin inscription and the symbols that have grown synonomous with the Templar Order, while the grip is hand-wrapped with a rich genuine red leather with a wire over-wrap. 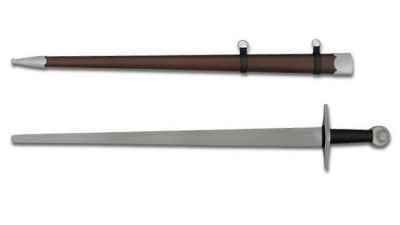 The sword includes a custom, matching wooden scabbard covered in top grain, heavy-duty leather and a period belt with solid metal fittings.